In 2018 the first ever Stride Cup tournament happened. Newcomer (at the time) Wraith dominated and not only took the cup but also became the Legacy Champion. That's because Chris Hargas had to vacate the belt due to injury. Now, a year later an even larger crop of competitors will go for the Stride Cup. 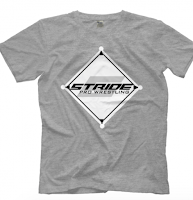 And as Stride General Manager Sam Hunter announced recently on Facebook, the winner of the tournament will also have a guaranteed shot at the Stride Pro Wrestling Heavyweight Championship. Sixteen men will compete in the opening round this Saturday night at 1130 N. Division Street in Carterville. 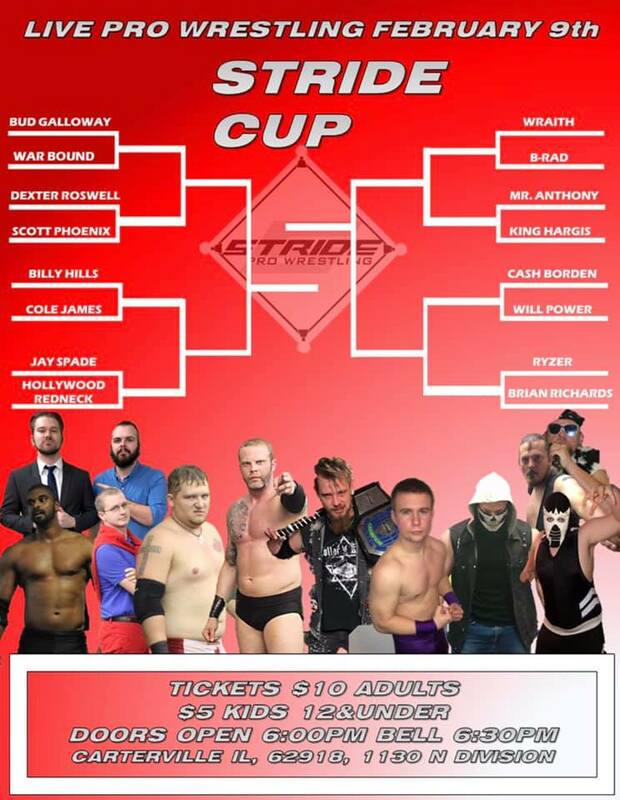 The Stride Cup finals will happen on Saturday, March 2 at a location TBD. This is also the third anniversary for the company and other announcements about Strideiversary will be happening at this weekend's event. There are several new names in the mix for the tournament including War Bound, Will Power and B-Rad. 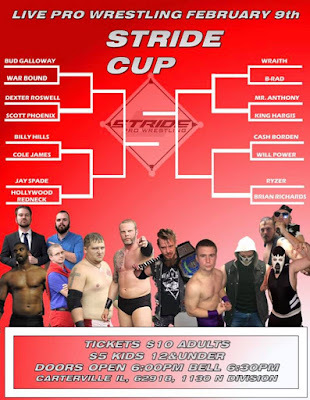 Last year's winner Wraith and his disciple turned-rival Ryzer will be in along with familiar names like "King" Chris Hargas, Farmer Billy Hills, Scott Phoenix and the new Stride Pro Wrestling tag team champions Dexter Roswell and Mr. Anthony. Jay Spade and Legacy Champion Cash Borden and the Red Neck World Order are all scheduled to compete as well. Who will advance to the finals? And what's next for the vacated heavyweight title? Find out this Saturday night. Bell time is 6:30 p.m.